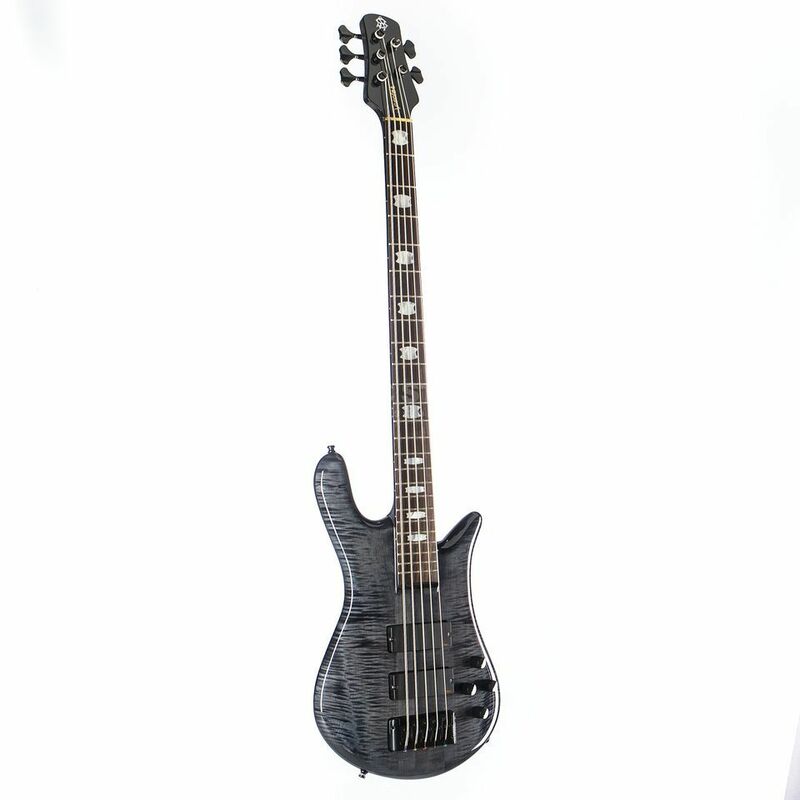 The Spector Euro 5 LX-TW 5-String Bass Guitar Black Stain is a 5-string bass guitar, featuring an alder body, a quilt maple top, a rock maple thru-neck, a rosewood fingerboard, EMG pickups, gold hardware, and a black stain finish. The Spector Euro 5 LX-TW 5-String Bass is made in the Czech Republic by master craftsmen, and this neck-thru bass offers you all the premium playing quality and stunning looks for which Spector basses are renowned. It features the fully carved and curved original NS body shape. The body of the Spector Euro 5 LX-TW 5-String Bass is of solid alder and the wings have 3 layers: figured maple on top, a slice of walnut, and an alder back for a stronger fundamental. Graphite-reinforced 3-piece rock maple neck has a 24-fret rosewood fretboard decorated with crown mother-of-pearl inlays. American-made EMG active pickups and deluxe Spector 9-volt TonePump EQ circuit deliver the ultimate in output and tonal range.